The Dubai Cosmopolitan Hotel, which is a unique hotel located in the Al Barsha district in Dubai, entrusted the team at Abakus to create a unique desing that could capture and represent this newly opened hotel. 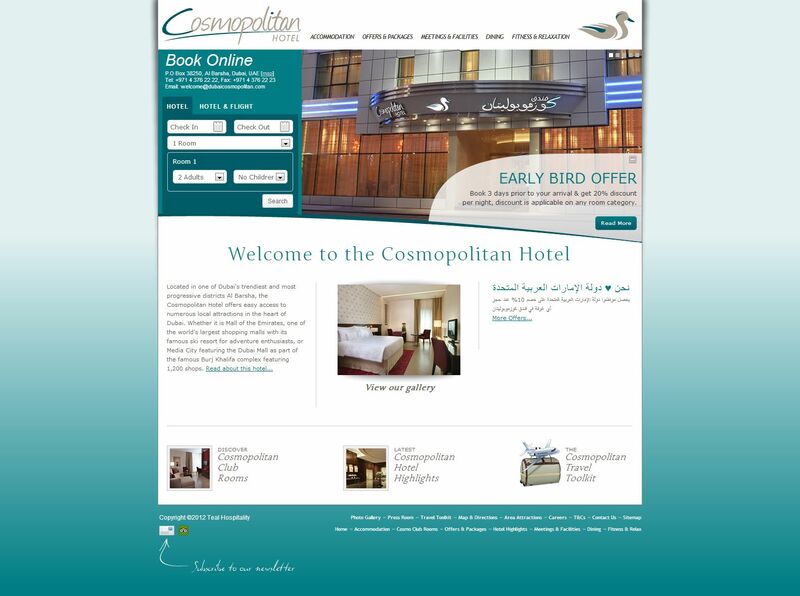 Together with the management present at the Dubai Cosmopolitan Hotel, managed to create a website which is not only pleasant to the eye but which is also user-friendly, presenting useful information in a meaningful manner. 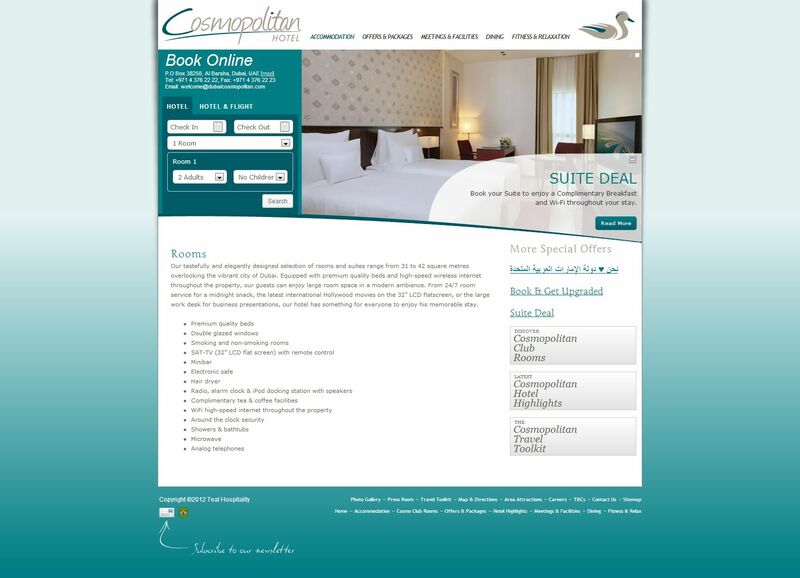 The addaJet team were also involved in the project, as the portal was also integrated with addaJet, which is an online booking search engine which allows greate freedom to both the hoteliers and the users - while the user of the website can be assured that there booking directly with the hotel with the best avalable rates, the hoteliers will have more control on the availability management system.